Buoyancy investigations via a cardboard box boat regatta. Image credit: ISC. 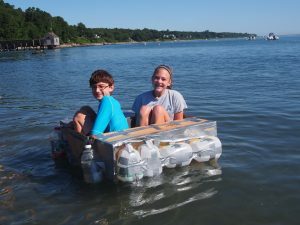 Registration is now open for the ISC’s Summer 2019 session of Ocean Science Exploration Camp.  This year’s camp will take place from July 15-19, 2019, at the University of Rhode Island’s Graduate School of Oceanography in Narragansett, RI, and will focus on physical oceanography. The global ocean is the key element in Earth’s hydrologic cycle (water cycle) and plays a critical role in moderating the planet’s climate. It is therefore important to understand the ocean’s dynamic properties. Physical oceanographers study the conditions and processes within the ocean, seeking to understand why, where, and how water moves, as well as the relationship between the sea, weather, and climate. For more details and registration information, please visit the ISC Camps webpage. Are there scholarships available for this camp? At this time, we do not supply scholarships for our Ocean Science Exploration Camp.